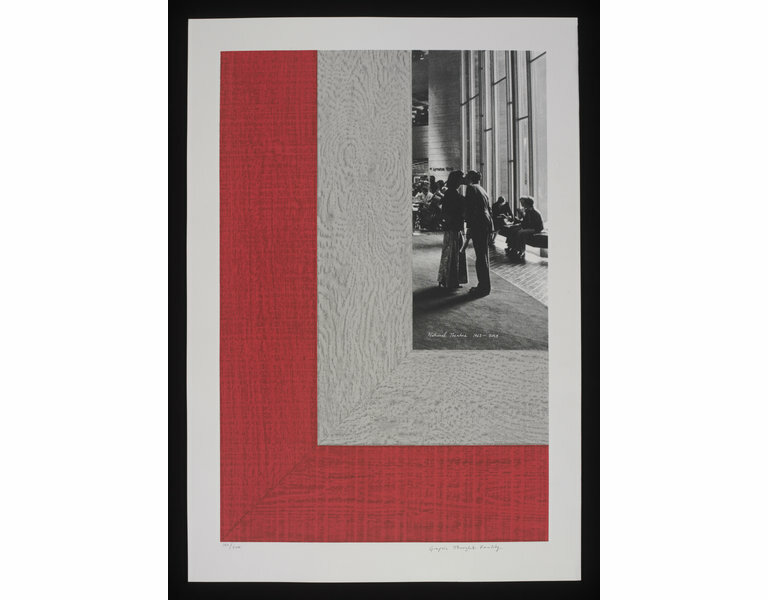 In 2013, the National Theatre commissioned a series of posters to mark the 50th anniversary of the opening of the National Theatre at the Old Vic. The artists included David Carson, Sir Michael Craig-Martin, Graphic Thought Facility, Paula Scher and Jamie Reid. 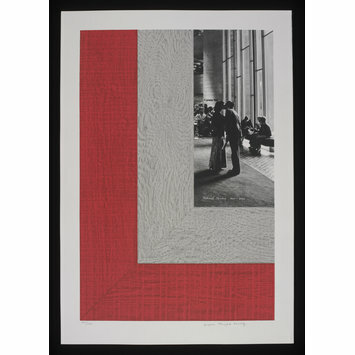 Graphic Thought Facility’s poster design referenced the interior fabric of the National Theatre’s building on London’s South Bank, designed by Denys Lasdun (1914-2001). 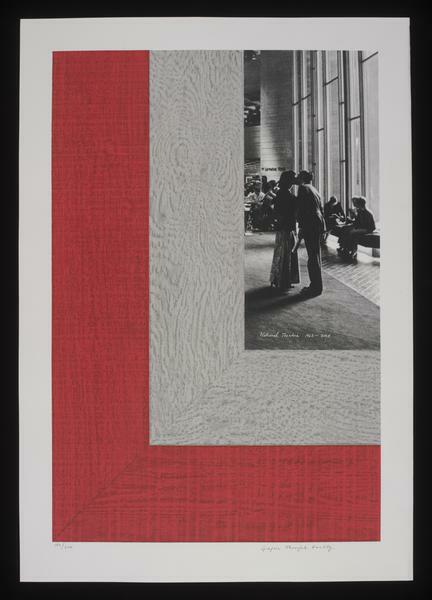 The poster features a black and white photograph of a couple kissing in the foyer of the National Theatre, the romantic image is surrounded by the woodgrain pattern of its famous shuttered concrete walls.